The intricate patterns of 2,500-year-old tattoos – some from the body of a Siberian ‘princess’ preserved in the permafrost – have been revealed in Russia. The remarkable body art includes mythological creatures and experts say the elaborate drawings were a sign of age and status for the ancient nomadic Pazyryk people, described in the 5th century BC by the Greek historian Herodotus. But scientist Natalia Polosmak – who discovered the remains of ice-clad ‘Princess Ukok’ high in the Altai Mountains – is also struck about how little has changed in more than two millennia. Researchers studying fossils from northern Kenya have identified a new species of human that lived two million years ago. The research adds to a growing body of evidence that runs counter to the popular perception that there was a linear evolution from early primates to modern humans. Anthropologists have discovered three human fossils that are between 1.78 and 1.95 million years old. The specimens are of a face and two jawbones with teeth. The finds back the view that a skull found in 1972 is of a separate species of human, known as Homo rudolfensis. The skull was markedly different to any others from that time. It had a relatively large brain and long flat face. But for 40 years the skull was the only example of the creature and so it was impossible to say for sure whether the individual was an unusual specimen or a member of a new species. 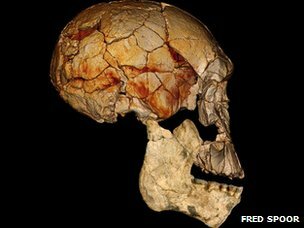 With the discovery of the three new fossils researchers can say with more certainty that H.rudolfensis really was a separate type of human that existed around two million years ago alongside other species of humans. For a long time the oldest known human ancestor was thought to be a primitive species, dating back 1.8 million years ago called Homo erectus. They had small heads, prominent brows and stood upright. But 50 years ago, researchers discovered an even older and more primitive species of human called Homo habilis that may have coexisted with H. erectus. Now it seems H. rudolfensis was around too and raises the distinct possibility that many other species of human also existed at the time. This find is the latest in a growing body of evidence that challenges the view that our species evolved in a smooth linear progression from our primate ancestors. The sites have been verified as undiscovered by Egyptologist and pyramid expert Nabil Selim. Nabil’s discoveries include the pyramid called Sinki at Abydos and the Dry Moat surrounding the Step pyramid Complex at Saqqara. Nabil has stated the smaller 100 foot “mounds”, at one of the proposed complex sites, are a similar size as the 13th Dynasty Egyptian pyramids, if a square base can be discovered. Balmy tropical temperatures and frost-sensitive vegetation prevailed on the coast of Antarctica 52 million years ago, according to a study of drill cores from under the seafloor off the coast of Antarctica. 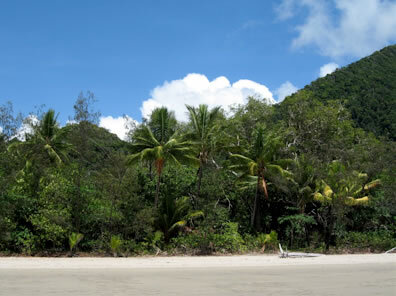 Tropical vegetation, similar to what can be seen on the Queensland coast today, was growing in the area now known as Wilkes Land due south of Australia, the study has shown. And summer temperatures in coastal Antarctica ranged between 20 and 27 degrees Celsius. The finding, published in the science journal Nature this week, confirmed what earlier studies had indicated – that Antarctica would have been an ideal summer playground. It also underlined the extreme contrast between modern and past climate conditions in Antarctica and the extent of global warming during periods of elevated carbon dioxide levels in the atmosphere. The exceptionally warm period 55 to 48 million years ago was the warmest era in the Earth’s history during the past 70 million years. The study was undertaken by an international team, led by Goethe University and the Biodiversity and Climate Research Centre in Frankfurt, Germany. The team included micro-paleontologist Dr Ian Raine of GNS Science. Modern culture emerged in southern Africa at least 44,000 years ago, more than 20,000 years earlier than anthropologists had previously believed, researchers reported Monday. That blossoming of technology and art occurred at roughly the same time that modern humans were migrating from Africa to Europe, where they soon displaced Neanderthals. Many of the characteristics of the ancient culture identified by anthropologists are still present in hunter-gatherer cultures of Africa today, such as the San culture of southern Africa, the researchers said. The new evidence was provided by an international team of researchers excavating at an archaeological site called Border Cave in the foothills of the Lebombo Mountains on the border of KwaZulu-Natal in South Africa and Swaziland. The cave shows evidence of occupation by human ancestors going back more than 200,000 years, but the team reported in two papers in the Proceedings of the National Academy of Sciences that they were able to accurately date their discoveries to 42,000 to 44,000 years ago, a period known as the Later Stone Age or the Upper Paleolithic Period in Europe. Among the organic — and thus datable — artifacts the team found in the cave were ostrich eggshell beads, thin bone arrowhead points, wooden digging sticks, a gummy substance called pitch that was used to attach bone and stone blades to wooden shafts, a lump of beeswax likely used for the same purpose, worked pig tusks that were probably use for planing wood, and notched bones used for counting. The oldest surviving human brain in Britain, dating back at least 2000 years to the Iron Age, has been unearthed during excavations on the site of the University of York’s campus expansion at Heslington East. Archaeologists from York Archaeological Trust, commissioned by the University to carry out the exploratory dig, made the discovery in an area of extensive prehistoric farming landscape of fields, trackways and buildings dating back to at least 300 BC. And they believe the skull, which was found on its own in a muddy pit, may have been a ritual offering. As Finds Officer Rachel Cubitt cleaned the soil-covered skull’s outer surface, she felt something move inside the cranium. Peering through the base of the skull, she spotted an unusual yellow substance. ‘It jogged my memory of a university lecture on the rare survival of ancient brain tissue. We gave the skull special conservation treatment as a result, and sought expert medical opinion,’ she said. Move over Indiana Jones, space-age archaeology has arrived. In the past, archaeologists had just maps and trowels to navigate a massive site, but modern imaging technology is helping archeologists to be more selective—from above. Research teams are taking infrared images using satellites orbiting 700 km above the Earth’s surface, equipped with cameras powerful enough to pin-point objects less than 1m in diameter. In Egypt alone, these high-resolution images have so far located 17 pyramids, 1,000 tombs and 3,000 ancient settlements—all buried beneath the Earth—by revealing changes in material densities. Ancient Egyptians built with mud bricks, which are denser than natural soil and so they show up clearly in infrared images—almost like footprints. Traditional fieldwork and excavation are still essential for confirmation, though. A pioneer of this technique, US Egyptologist Dr Sarah Parcak,commented that her team “excavated a 3,000-year-old house that the satellite imagery had shown, and the outline of the structure matched the satellite imagery almost perfectly. That was real validation of the technology.” This imaging technology has incredible potential, not only for discovery but also for giving archaeologists a sense of size, distribution, and complexity. Researchers from the Institut Français d’Etudes Anatoliennes in Istanbul and the Laboratoire de Tribologie et de Dynamiques des Systèmes have analyzed the oldest obsidian bracelet ever identified, discovered in the 1990s at the site of Aşıklı Höyük, Turkey. Using high-tech methods developed by LTDS to study the bracelet’s surface and its micro-topographic features, the researchers have revealed the astounding technical expertise of craftsmen in the eighth millennium BC. Their skills were highly sophisticated for this period in late prehistory, and on a par with today’s polishing techniques. This work is published in the December 2011 issue of Journal of Archaeological Science, and sheds new light on Neolithic societies, which remain highly mysterious. Dated to 7500 BC, the obsidian bracelet studied by the researchers is unique. It is the earliest evidence of obsidian working, which only reached its peak in the seventh and sixth millennia BC with the production of all kinds of ornamental objects, including mirrors and vessels. 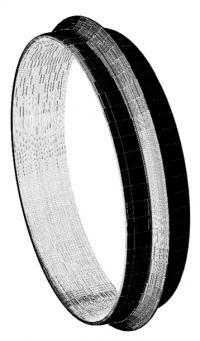 It has a complex shape and a remarkable central annular ridge, and is 10 cm in diameter and 3.3 cm wide. Discovered in 1995 at the exceptional site of Asıklı Höyük in Turkey and displayed ever since at the Aksaray Archeological Museum, the ring was studied in 2009, after Mihriban Özbasaran, Professor at the University of Istanbul’s Department of Prehistory, resumed excavations. Laurence Astruc, a CNRS researcher and her colleagues analyzed the bracelet using extremely powerful computer technologies developed by LTDS researchers Hassan Zahouani (ENISE) and Roberto Vargiolu (ECL). Developed for industry in order to characterize the ‘orange peel effect’ on painted car bodywork, these methods, known as multi-scale tribological analysis, have been adapted for the study of micro-topographic features on archeological artefacts. They seek to identify every single operation performed on the surface of these objects. This process has revealed that the bracelet was made using highly specialized manufacturing techniques. The analyses carried out showed that the bracelet was almost perfectly regular. The symmetry of the central annular ridge is extremely precise, to the nearest degree and nearest hundred micrometers. This suggests that the artisans of the time used models to control its shape when it was being made. The surface finish of the bracelet (which is very regular, resembling a mirror) required the use of complex polishing techniques capable of obtaining a nanometer-scale surface quality worthy of today’s telescope lenses. Will divers finally get to the bottom of the Baltic Sea mystery? Since June last year, the strange shape at the bottom of the Baltic Sea has caused so much speculation. 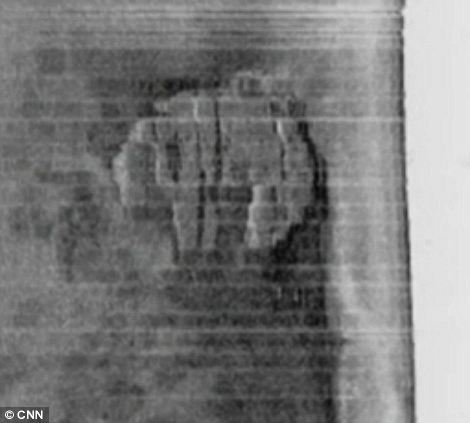 Sonar pictures showed a massive, metallic cylinder with a 60 metre diameter and a 400 metre-long tail resting about 300 feet below the Baltic Sea – and no-one knows what it is. It must be man-made, or a sonar anomaly – the alternative, perhaps, is that it comes from a universe far, far, away, as its startling likeness to the Millennium Falcon ship from the Star Wars saga implies. Hopefully an answer is forthcoming, with deep sea divers heading to the shape today to get to the bottom of the matter – and surely it will be an eerie descent as they await to discover the secrets of the deep. Deep sea divers, using remote-controlled cameras, are now on their way to the side, ready to find out once and for all what is down there. A Swedish company named Ocean Explorer discovered the unidentified sunken object using their sonar technology in a secret location in the Baltic Sea, between Sweden and Finland. Because of a lack of funding and bad timing, they have were not able to pull a team together to see for themselves – just the strange, metallic outline, and a similar disk-shaped object about 200 metres away. At this point, the story behind the object is anyone’s guess. Breathtaking documentary that follows an exclusive expedition into the nearly inaccessible Chauvet Cave in France, home to the most ancient visual art known to have been created by man. The cinematic experience provides an unique glimpse of pristine artwork dating back to human hands over 30,000 years ago. I don’t know what kind of cave man had the ability to understand movement, lighting, texture; but those ones did! It’s amazing how little we know of our own history. Enjoy! 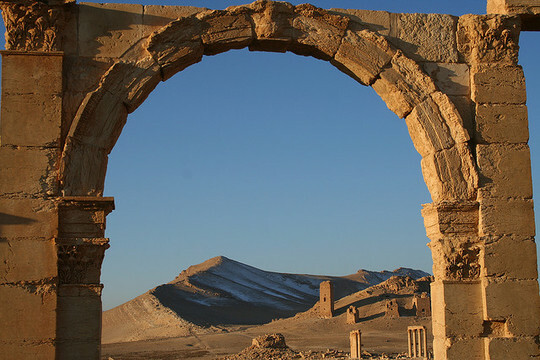 The archaeologists working at Ziyaret Tepe, the probable site of the ancient Assyrian city of Tušhan, believe that this language may have been spoken by deportees originally from the Zagros Mountains, on the border of modern-day Iran and Iraq. In keeping with a policy widely practiced across the Assyrian Empire, these people may have been forcibly moved from their homeland and resettled in what is now south-east Turkey, where they would have been set to work building the new frontier city and farming its hinterland. The evidence for the language they spoke comes from a single clay tablet, which was preserved after it was baked in a fire that destroyed the palace in Tušhan at some point around the end of the 8th century BCE. 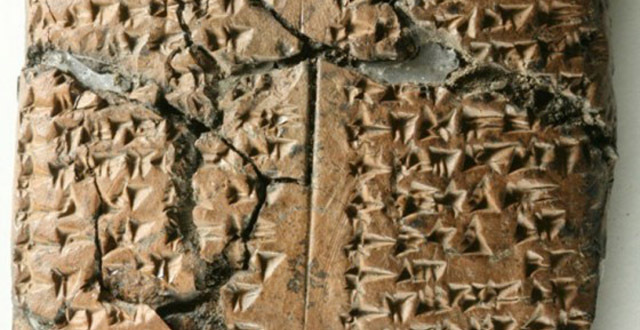 Inscribed with cuneiform characters, the tablet is essentially a list of the names of women who were attached to the palace and the local Assyrian administration. A paper in the Journal of Near Eastern Studies reports the discovery. 3D has become all the rage in movies and computer games, but the technology isn’t just for entertainment. Researchers at Harvard University and the Museum of Fine Arts are turning it into a learning tool, too. Beginning Tuesday, they’re offering you a free 3D virtual tour of the ancient pyramids of Egypt. It’s an animated computer rendering of the Giza Plateau, home to the famous pyramids near modern-day Cairo. Manuelian leads our tour with a device that’s a cross between a joystick and a mouse. We start by flying over the whole complex, getting a bird’s-eye view. Then we swoop down into a courtyard to see an ancient Egyptian burial ceremony. Suddenly, with a flick of the joystick, we plunge into a long shaft that leads to a burial chamber. For history buffs like me, it’s insanely fun. The site is live now. Geologists in Russia’s volatile Chechnya region have discovered what they believe to be fossilized dinosaur eggs laid by one of the huge extinct reptiles that roamed the Earth more than 60 million years ago. “We’ve found about 40 eggs so far, the exact number has not been established,” said Said-Emin Dzhabrailov, a geologist at the Chechen State University. The find was uncovered when a construction crew was blasting through a hillside to build a road near the region’s border with former Soviet Georgia in the Caucasus Mountains. A team of geologists stumbled across the smooth, oval rock-like forms, which range from 25 cm to one meter coincidentally on a recent trip to the area, said Dzhabrailov. He said paleontologists were needed to determine which species of dinosaur had laid them. Dzhabrailov said that the regional Chechen government, which is eager to shed the region’s reputation for violence, is considering turning the area into a nature preserve and seeking to attract tourists. Federal forces fought two separatists wars between 1994-2001 in Chechnya, and an Islamist insurgency persists in the mostly Muslim region and surrounding provinces of Russia’s North Caucasus. However, violence has declined under the strong-arm rule of Ramzan Kadyrov, whose multi-million dollar construction projects are aimed at raising the region’s profile and boosting the tourism potential of the troubled area. Archaeology is the study of the remains of the past but has long been predatory on the sciences and their ever-growing technologies. I was brought up as a student in 1970s Britain, when we learned of the wonderful revelations to be made through aerial viewing of almost any human landscape. Today we have moved on to add, first, satellite imagery to our arsenal, and now the astonishing virtual globes any one of us can use to explore many of the most remote and difficult places in the world. 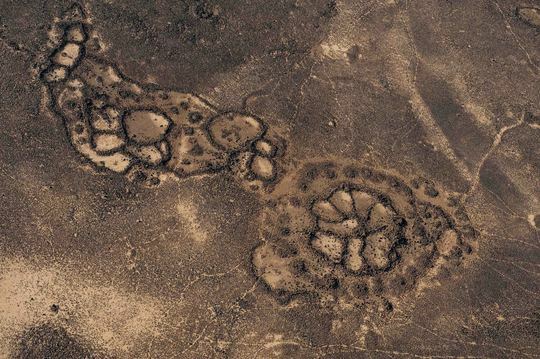 This was never clearer to me than during the past two years, when I began finding thousands of prehistoric sites in the Middle East … from my desk in Perth, Australia, using Google Earth. Aerial reconnaissance for archaeology – Aerial Archaeology – has been an indispensable part of fieldwork in most of north-western Europe for decades. Hundreds of flights are dedicated annually to archaeology, which provide access to millions of aerial photographs. It would not be overstating it to say this technique has been transformational for the discipline. At between 550 and 560 million years old, an animal discovered in South Australia recently is the oldest with a skeleton ever found. The organism, called Coronacollina acula, was found by a team from the University of California. The finding provides insight into the evolution of life – particularly, early life – on the planet, why animals go extinct, and how organisms respond to environmental changes. The discovery also can help scientists recognise life elsewhere in the universe. Coronacollina acula lived on the seafloor. It was shaped like a thimble with at least four 20 to 40-centimetre-long spikes called ’spicules’ attached. These probably held the creature up. The researchers believe it ingested food in the same manner a sponge does, and that it was incapable of moving around. How it reproduced remains a mystery. Featured objects are usually displayed in museums. But sometimes there are relics that can’t be put on exhibition – as is the case with one that is hidden deep in the Russian forests. Knowing that there were rock carvings on some islands in Lake Kanozero, and Jan Magne Gjerde, project manager at the Tromsø University Museum, went out there to document them as part of his doctoral work. When he and his colleagues were done, the number of known petroglyphs had risen from 200 to over 1,000. In the summer of 2005, Gjerde drove more than 5,300 kilometres east to Lake Kanozero. Together with Russian colleagues he discovered what he calls some of the world’s oldest animated cartoons. “Petroglyphs are found at four sites in the area − on three islands and on a stone block on the lakeshore. The oldest ones are from the Stone Age and 5,000 to 6,000 years old,” explains Gjerde. The main site is on the island of Kanozero. According to Gjerde, these aren’t like the petroglyphs they are used to seeing, depicting one moose or one deer. These are fantastic cartoons presenting entire episodes. For example the one they found at the main site, which depicts a bear hunt. He describes in detail a hunter who is heading uphill on skis and tracking a bear. The ski tracks are just as one would expect for someone going up a slope with a good distance between the strides. The hunter then gets his feet together, skis down a slope, stops, removes his skis, takes four steps – and plunges his spear into the bear. 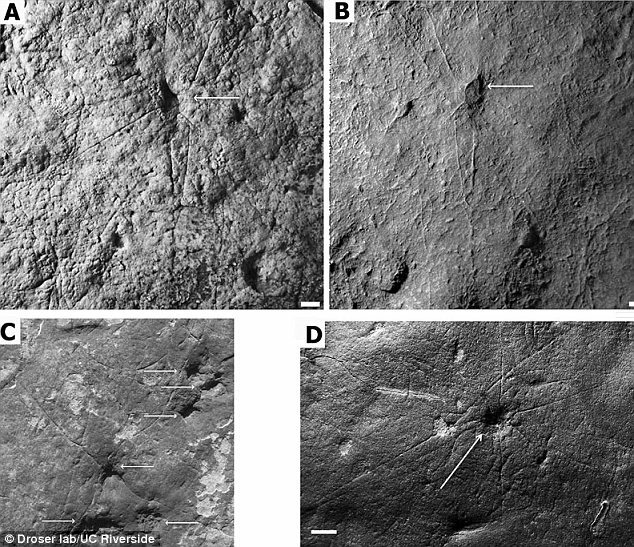 “This is the oldest example of a cartoon petroglyph we know of, at least in Northern Europe, so it was utterly thrilling to get the chance to be part of this discovery,” he says. On the wall of a limestone cave above the Rio Grande, at about the time the pyramids were rising in ancient Egypt, a nomadic people painted fantastic scenes of human and animal figures, leaving a story that resists modern interpretation. Pausing at one of the compositions, archaeologist Amanda Castañeda pointed out details, lost to the untrained eye, in a faint humanoid figure. “This dates to about 4,000 years ago. What’s interesting about this guy is that his atlatl (throwing stick) is backwards and his wrist has a crazy decoration. The more you look, the more you see,” she said. Across the broad stone canvas were dozens of surreal and distorted figures of humans, deer, rabbits and felines, as well as others aptly classified as “enigmatics,” simply because they remain inscrutable. A large reddish figure of a bounding mountain lion gave the place its name decades ago. Accessible only by boat, Panther Cave, in Seminole Canyon, is one of several hundred sites in the Lower Pecos region with ancient Indian paintings and rock carvings now recognized worldwide as archaeological treasures. 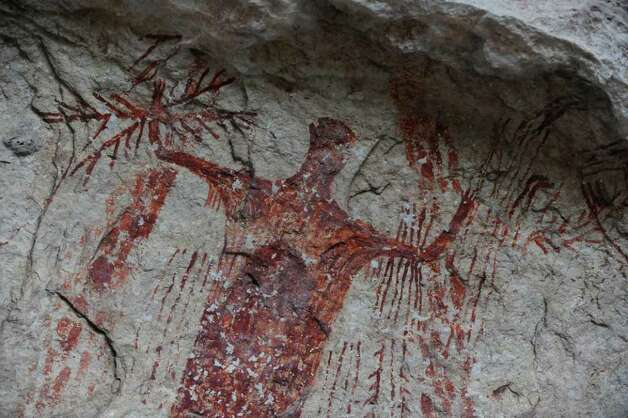 “Pecos rock art compares favorably with great rock art elsewhere on other continents,” Jean Clottes, president of the International Federation of Rock Art Organizations, wrote in a recent email. He has made three trips from France to West Texas to study the rock art. “I won’t say if it is better or not because it would be like comparing great painters such as Van Gogh, Rembrandt and Velasquez!” he exclaimed. It is also no accident that next year the Texas Archeological Society will hold its annual convention here again. The work of archaeologist Carolyn Boyd and others have made Del Rio an archaeological hotspot. “What they are doing there is pretty phenomenal. Dr. Boyd has basically created a research center with an international reputation, and with private funding for the most part,” said Britt Bousman, a professor at Texas State University and immediate past president of the state archaeological society. The results of recent research suggests that ancient, or prehistoric, builders of the monumental structures found in such diverse places as Ireland, Malta, southern Turkey and Peru all have a peculiarly common characteristic — they may have been specially designed to conduct and manipulate sound to produce certain sensory effects. Beginning in 2008, a recent and ongoing study of the massive 6,000-year-old stone structure complex known as the Hal Saflieni Hypogeum on the island of Malta, for example, is producing some revelatory results. Like its related prehistoric temple structures on Malta, this structure features central corridors and curved chambers. But this structure is unique in that it is subterranean, created through the removal of an estimated 2,000 tons of stone carved out with stone hammers and antler picks. Low voices within its walls create eerie, reverberating echoes, and a sound made or words spoken in certain places can be clearly heard throughout all of its three levels. Now, scientists are suggesting that certain sound vibration frequencies created when sound is emitted within its walls are actually altering human brain functions of those within earshot. Archaeologists discovered a series of deposits in the interior of the Pyramid of the Sun at Teotihuacan in Mexico. The team of researchers announced their findings after exploring the 65-metre high pyramid from 2008 to 2011. Using the 116 metre long tunnel excavated in the 1930s by archaeologist Eduardo Noguera, the Pyramid of the Sun Project, directed by Alejandro Sarabia, stratigraphically excavated 59 trenches and created 3 short tunnels in order to reach the natural rock level and verify the presence of burials and offerings. “We knew that if the builders of Teotihuacan placed something inside the monument it would have been done at the base level, so we made a vertical shaft at the end of the tunnel and a short horizontal tunnel to reach the centre of the pyramid, since the original tunnel was cut approximately 6 metres to the west of the centre of the monument”, commented team member Perez Cortes. The discovery of a 3,300-year-old tool has led researchers to the rediscovery of a “lost” 20th-century manuscript and a “geochemically extraordinary” bit of earth. Discovered on Emirau Island in the Bismark Archipelago (a group of islands off the coast of New Guinea), the 2-inch (5-centimeters) stone tool was probably used to carve, or gouge, wood. It seems to have fallen from a stilted house, landing in a tangle of coral reef that was eventually covered over by shifting sands. The jade gouge may have been crafted by the Lapita people, who appeared in the western Pacific around 3,300 years ago, then spread across the Pacific to Samoa over a couple hundred years, and from there formed the ancestral population of the people we know as Polynesians, according to the researchers. Jade gouges and axes have been found before in these areas, but what’s interesting about the object is the type of jade it’s made of: it seems to have come from a distant region. Perhaps these Lapita brought it from wherever they originated.